Home » News » Aluclad Vs Upvc | What Should You Choose? Why choose aluminium clad windows over UPVC. The quick answer is “it depends.” And don’t base your decision on price only! First of all, consider the aesthetics. In short, a UPVC window frame is easily recognisable because of the thick, bloated and swollen look of the frame due to the nature of the material. Choosing alu clad windows provides a very different visual experience as it allows for slim, detailed profiled frames that have a narrowly defined look and thus enhance the architectural appearance of your home. By choosing Aluminium Clad wood windows for your new-build home or replacing windows in your existing home you can enjoy a virtually maintenance free. UPVC is prone to warping, chalking and flaking of the frame over a relatively short life-span after 15-20 years and failing of window seals which creates misting, condensation and draughts. Homeowners take great care when choosing the colour of the window frame for their home and rightly so as it will have a great impact on the exterior look of your home. Andersen aluminium clad wood windows by Signature ( Official Irish partners of Andersen ) have the colour embedded as part of the manufacturing process and guarantee a colour fast lifespan –none fading. UPVC tends to fade from a pristine white to tobacco stained yellow over a short period and gives your home a faded cheap look. Aluclad is made up of two materials – wood and aluminium and thus creates a warm, cosy feeling on the inside of your home particularly welcome during the long Winter nights. UPVC has a cold plastic interior feel that can often prompt you to cover it up with curtains or other decorative solutions. Andersen aluclad windows offer a wide variety of shapes and sizes to suit homes from contemporary to traditional-the alu/clad sliding sash is a very popular choice for newly built homes especially in rural landscapes. UPVC is limited in the number of style options it can offer as frame joinings tend to be difficult to seal. 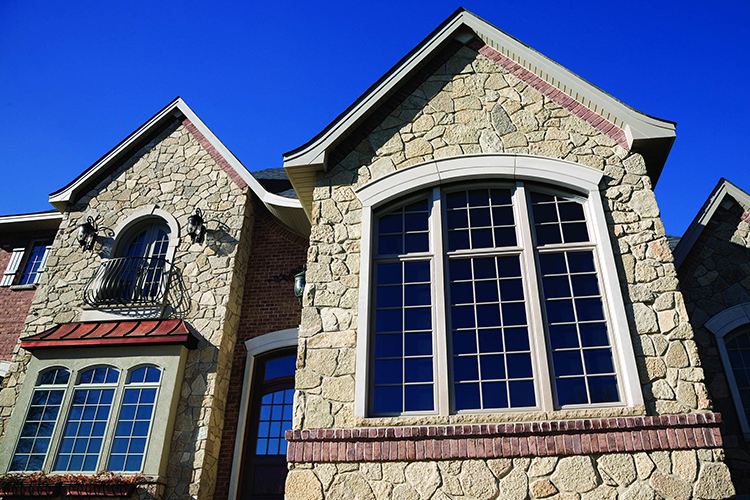 Learn more about Andersen aluclad windows offered by Signature below.